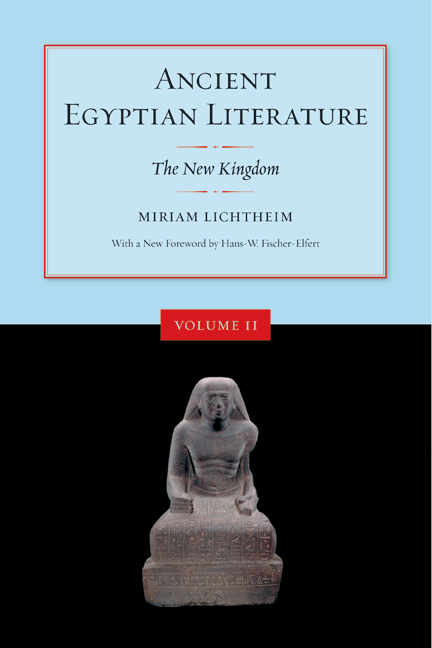 For thirty years Miriam Lichtheim was Near East Bibliographer and Lecturer at University of California, Los Angeles. She retired in 1974 to devote herself to Egyptological research and later moved to Jerusalem where she taught at Hebrew University. She died in 2004. Hans-W. Fischer-Elfert is Professor of Egyptology at the Aegyptologisches Institut of the University of Leipzig.